Psoriasis Eczema Skin Diseases Gastritis Intestinal Infection Prostatitis Cystitis Potency Cancer treatment prevention the Juice of Cocklebur properties applications contraindications buy store of traditional medicine. Diarrhea Cramps treatment at home by extracts of health. Weird, at first glance, the name of the herb, has its explanation. Many of the medicinal plants, for example, "scrofulous grass" got their names from the diseases which they resist. And a Cocklebur, whose name comes from "bad skin" (long since with the help of cocklebur were treated with various skin diseases). People often spiny Cocklebur has other names. One of the folk names for the plants — "zobnik", which clearly indicates its use for the treatment of thyroid diseases. The Cocklebur as a rule are used exclusively by healers, with the exception of some countries where the plant is ranked as the Pharmacopoeia. The Spiny Cocklebur chemical properties. Spiny cocklebur has a very strong blood-purifying effect. Also, studies show that there is also the ability to suppress the activity of cancer cells, the removal of the spasms of smooth muscle muscles, so the plant actively used in the treatment of asthma attacks. The fruits of the Cocklebur has astringent and antibacterial properties, so they are often prescribed for diarrhea, including infectious nature. The chemical composition of Cocklebur is not studied in full, but all the researchers emphasize the high content of iodine. But not only this element depend on the therapeutic properties of Cocklebur: it contains alkaloids, flavonoids and other biologically active substances. In seeds of Cocklebur contains large amounts of fatty oil, which is suitable both for technical purposes and for use in food. 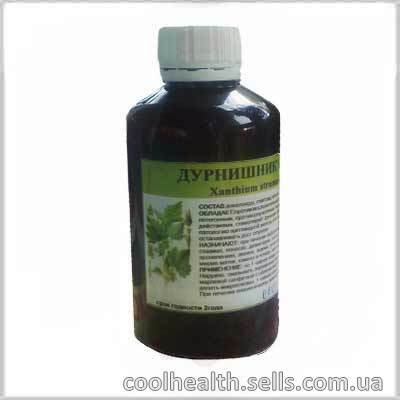 It is dangerous to accept funds on the basis of this plant in acute forms of peptic ulcer of the duodenum and stomach. Before treatment it is better to determine the individual tolerability in order to avoid allergic reactions. External application of the Juice of Cocklebur, the Cocklebur Tinctures, the Cocklebur Brew in the form of lotions can cause slight burning, so you need to strictly follow the recommendations of folk healers. Because this plant is poisonous, it is necessary to observe the exact dosage. Spiny cocklebur is contraindicated in pregnancy. The Juice of Cocklebur prickly composition. The Juice of Cocklebur prickly properties. stimulates the functions of the male genital organs. The Juice of prickly Cocklebur application. Dosage: 1 teaspoon 3 times a day, diluted in 100 ml of warm water. Externally: to lubricate the affected areas of skin 2 times daily and cover with gauze with sea buckthorn oil. Hemorrhoids and paraproctitis do microclysters: 1 teaspoon per 50 ml of warm water 1 time a day. In the treatment of cancer - the dose can be increased 3 times.